A favorite among curly girls, flaxseed oil is a rich source of the essential fatty acid alpha-linolenic acid or ALA according to the Mayo Clinic. Some call flaxseeds the most powerful plant food on the planet and has been touted as reducing one’s risk of heart disease, stroke, and even diabetes. Flax cultivation became a common practice somewhere between 400 and 200 B.C. in countries bordering the Mediterranean Sea and in regions of the Middle East. Flaxseeds in their raw form range in color from amber–yellow to brownish red. The seeds come from the flax plant, which is an annual herb. Flaxseed can create two different yet similar oils: flaxseed oil and linseed oil. 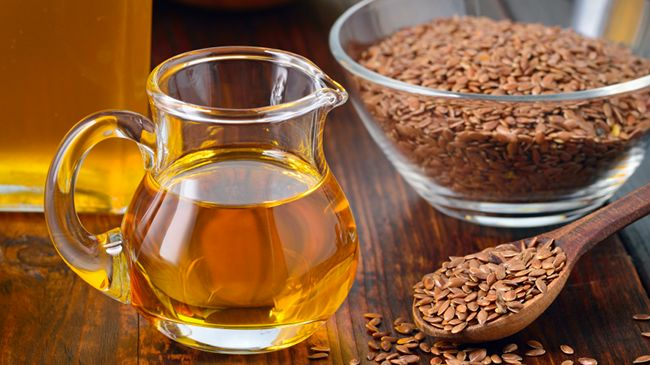 Flaxseed oil is typically processed by cold pressing the seeds. Linseed oil is also extracted by pressing the seeds but petroleum solvents are used during extraction to maximize yield. Flaxseed oil is safe for human consumption but linseed oil is not. Linseed oil is primarily used for industrial applications, most notably as an additive to paints and finishers for furniture. Flaxseeds are rich in ALA, which is an omega-3 fatty acid that is helpful for heart disease. Just two tablespoons contains more than 100% of your recommended daily intake for those heart-healthy fats. Lignans have antioxidant qualities, and according to WebMD, flax seeds contain 75 to 800 more lignans than other plant foods. Flaxseeds also contain both soluble and insoluble fiber, but one of the features that make these little seeds a favorite of curly girls is their mucilage content. Flaxseeds contain lignans but flaxseed oil does not. However, the oil does contain both omega-3 and omega-6 fatty acids, which are both needed for health. People who are lacking in those necessary essential fatty acids may experience dry, brittle strands. Omega-3 fats nourish the hair follicles and encourage growth. They also prevent inflammation, helping to stave off hair loss, dandruff, and other hair and scalp conditions. Flaxseed oil can be found in liquid or softgel capsules. It is a sensitive oil that is best when made fresh from pressed seeds, bottled in dark containers, and processed at low temperatures in the absence of light, extreme heat or oxygen. The hair mask recipe below is worth trying if you want to receive the many benefits of flaxseed oil. Mix the flaxseed oil and sugar in a small bowl and then massage into your scalp. Cover with a plastic cap for 20 min. Get in the shower, pour the ACV and water into a spray bottle, massage mixture into your scalp well, and cover with a plastic cap. Allow to sit for up to one hour before rinsing thoroughly. No need to cleanse again and just style as usual. Flaxseed gel is a favorite among naturals because it is a natural gel that will restore shine, detangle, and add moisture to your strands without leaving your hair hard and without the use of chemicals. Check out our flaxseed gel recipe below. Have you used flaxseed on your hair? What was your experience?